Smart and sleek, the collarless leather blazer is designed for professional women who want to make a strong impression in the corporate world. 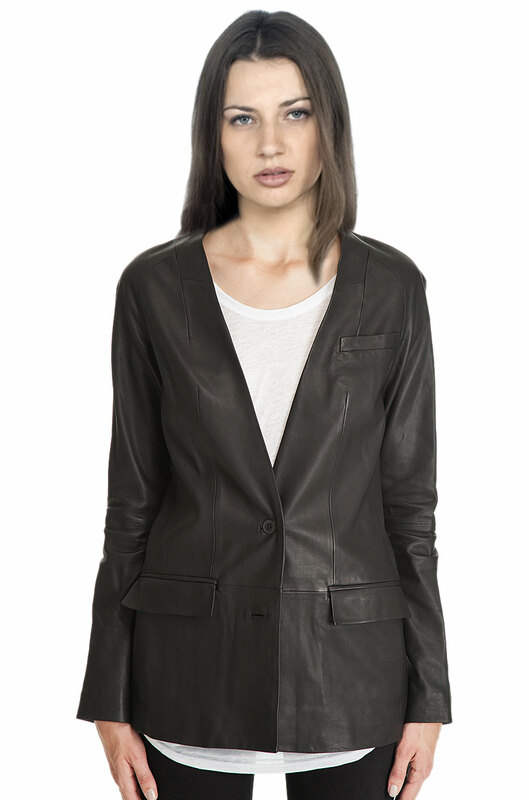 Made of lamb leather, this single breasted leather blazer features two button closure, paneled, welt pocket at chest, bound flap pockets at waist, and tone on tone stitching. Team it up with formal pants, and complete your corporate look.